Most of the biologically active DNA exists in the Watson -Crick helical form. This is the B-form of DNA. The double helix is able to assume other forms, depending upon varying environmental conditions. Z-DNA is left handed helices. 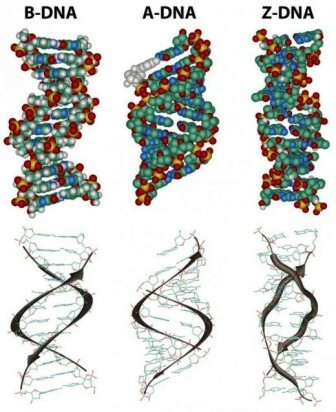 Z-DNA, is the skinniest DNA, with only one groove and is stabilized by high salt concentration.